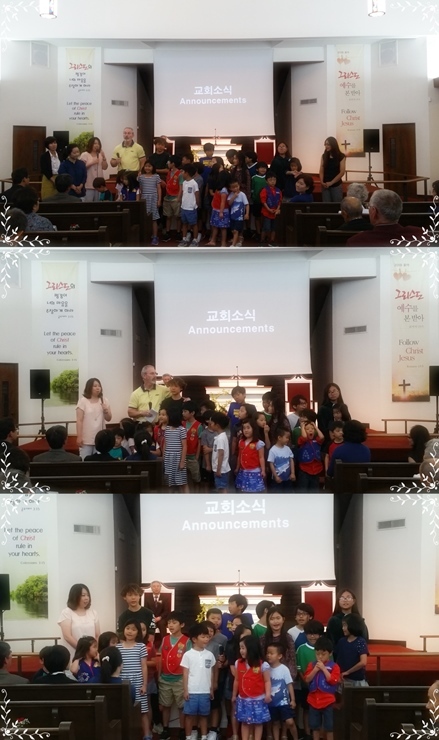 교육부그룹 Education > 어와나 > 2017-2018 Awana graduation and presentation. Mr. Tom who is in charge in Awana and instructors led children to the gradudation ceremony. In particular, Dahan Chang gradudated from Awana. It is said that Daehan's just finished through the Cubbies, the Sparks and the Truth & Training for 10 years. All participants showed the presentation memorizing the Psalm 121 to the congregation during the worship service. We strongly believe that studying the Word of God strengthen their faith and intensify their love for Christ as well as deepen the understanding of what Jesus Christ accomplishsed for them.